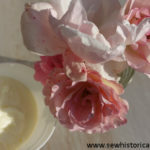 I’ve made a cold cream following an 1853 recipe (the second recipe). 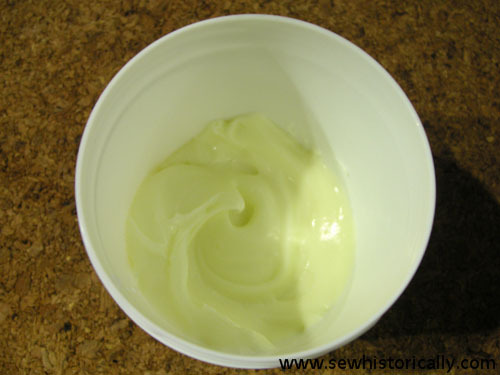 I’ve just made a small batch of the original hand cream; and I’ve used beeswax instead of white wax. Melt the oil and wax over low heat. 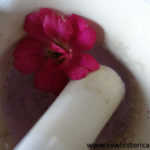 When the mixture begins to cool, add rosewater while constantly stirring. If the oil and water content separates, heat again over low heat. 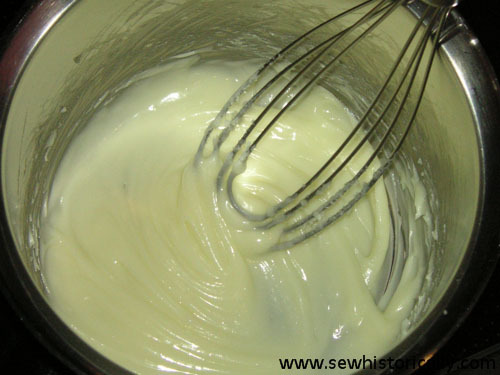 Keep stirring till the cold cream is cold. Keep the cream in the refrigerator. The recipe is easy and fast to make. 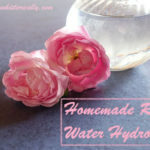 At first, the rosewater and oil content separated, but after heating it again for a short while, it combined thoroughly. 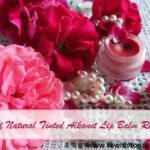 The cold cream is nourishing, and keeps well in the refrigerator. 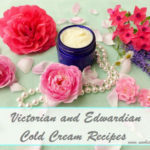 Here you’ll find an Edwardian cold cream recipe with jojoba oil. Oh wow, thank you so much! 😀 I’m glad you like it!